Here at Torbay Rest Home we have employment opportunities arise from time to time. Absolutely excellent, all the nurses and staff are lovely and help in every way. Wonderful food, wonderful entertainment and great activities. 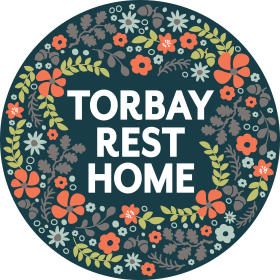 Torbay rest home is a very nice place to live. Very homley, staff are all very friendly and helpful and all our needs are catered for. I also enjoy very much the companionship of the other residents. I love singing with Wendy our activities lady. I feel proud this is my home. I’m 94, an ex serviceman and have been living here for 9 months. I’ve been very happy, the staff here have been very helpful and kind to a person of my age.